When it comes to quadrilaterals, I’m with Huey Lewis and Principal Skinner. Straight lines have come in for a bad press recently, what with their endorsement by Michael Gove, but applied with imagination rather than ideology they can still surprise and entertain. The right kind of right angle can let light pour forth into the most towering of interiors, or seduce the eye upwards through a staircase of cubic playfulness. 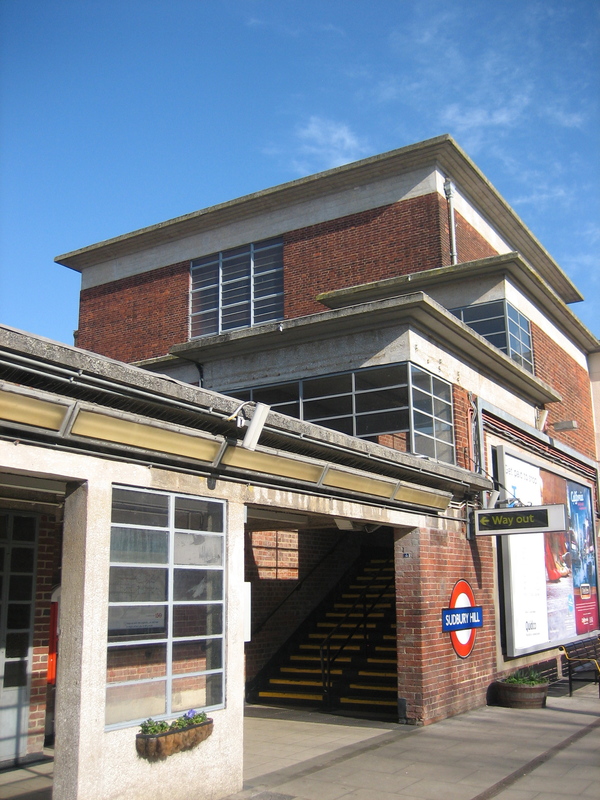 For proof of this kind of thing, you’ll struggle to find better examples than at Sudbury Hill station. 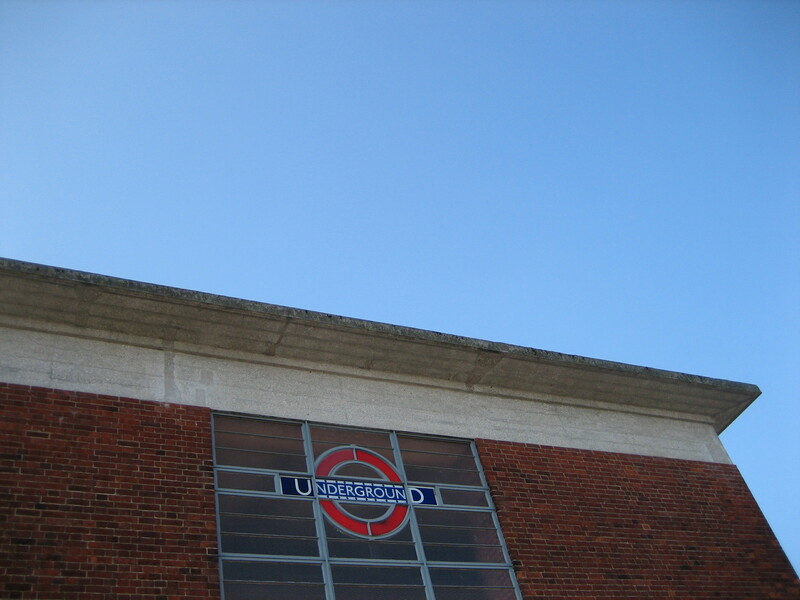 For Sudbury Hill is beauty, squared. Now that’s the kind of fabulous, multi-level edifice that’s just begging for a giant-sized Professor Yaffle to wander down, fussily but stoically*. 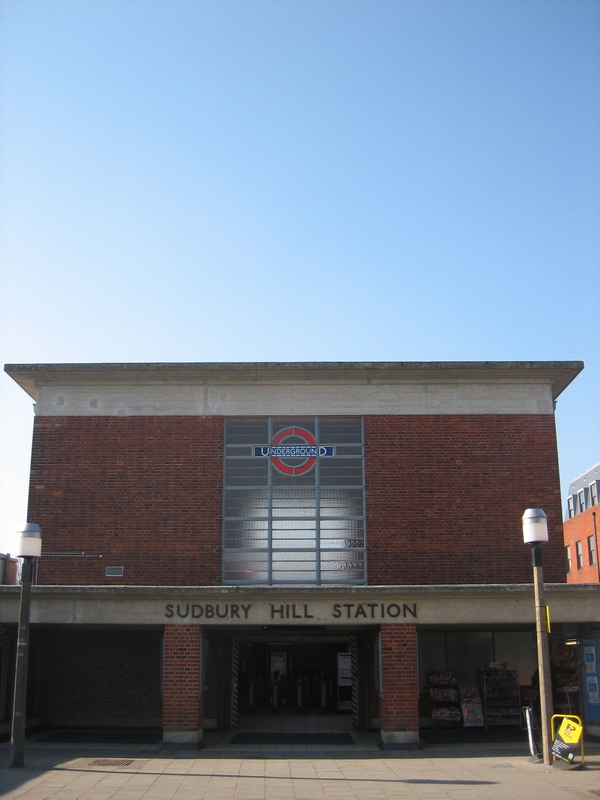 Sudbury Hill comes from the Charles Holden handbook of How To Design Stations Properly (subtitle: 150 Reasons You Should Pull Down Old Crappy Buildings In Order To Replace Them With Newer, Better Ones). It opened in 1932, along with an increasing number of minds to the notion of architecture being a statement as much about the future as the past. It’s still in superb condition, although the inside of the booking hall no longer resembles quite so much of a Ken Adam film set. The squares, and squares within squares, cut an elegant dash against the sky. 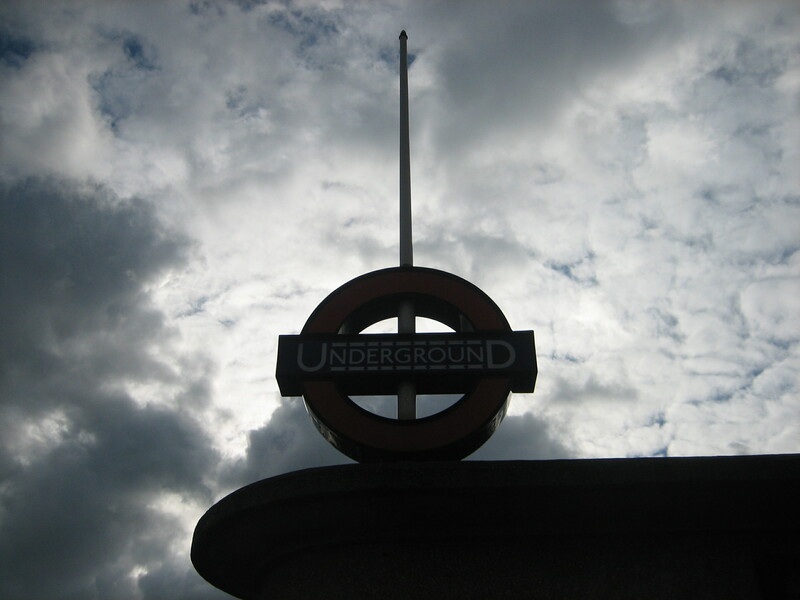 In cheeky defiance of its base function, the station lifts rather than lowers both your gaze and your senses. The buildings that surround the station, in fact the entire street on which it sits, can’t compete. Everywhere looks shabby, out-of-sorts and utterly humdrum. Sometimes humdrum can be enchanting, but not when it’s by accident rather than contrivance. Holden should really have been given permission to design the entire neighbourhood. In fact, Holden should have basically been allowed to do up the whole of London. Imagine what that would have been like. A Gordon Murray-esque hand-tooled urban fantasy, but for real, in the flesh, for us to walk, ride and windmill through. Here is a box. 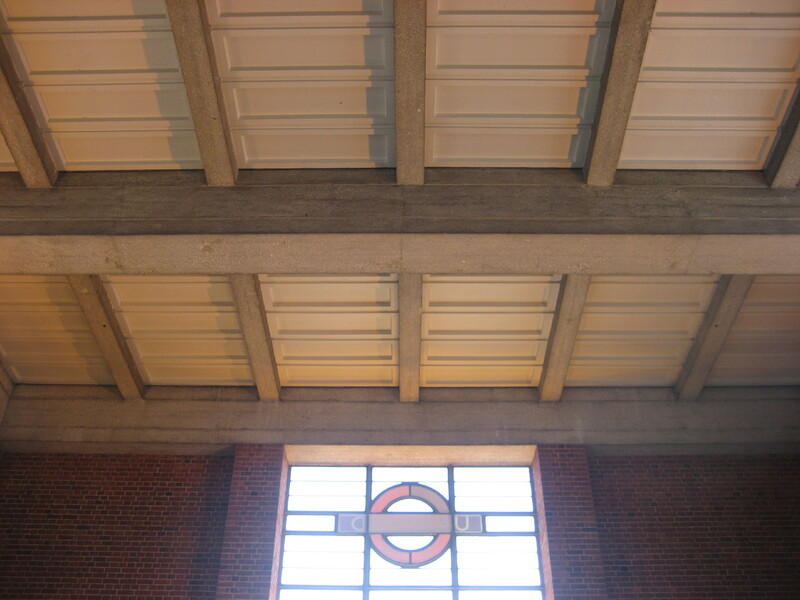 A modernist box. Doled up, and ready to play. But this box can hide a railway inside. Can you guess where it’s going today? *Professor Yaffle was always my favourite in Bagpuss. Don’t say you’re surprised.